Gap Selling Sales Training is here to challenge, educate, and motivate your sales organization. This is not your typical tactics-style sales training! Gap Selling Sales Training is here to push your sales team further than they are used to. Get your sales organization pumped to take on new challenges, engage more customers and find new opportunities. Gap Selling is all about showing salespeople and sales organizations how to sell more by teaching them how to help their customers more. See, at the heart of every sale there’s a gap. It’s a gap between what buyers have now and what they believe they want in the future. Between who they are now and who they want to be tomorrow. Or even, where they are and where they want to go. 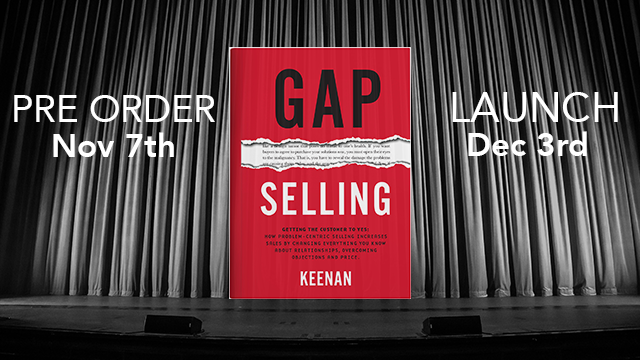 This gap represents the value of the sale to the buyer AND the salesperson. Without it, there is no sale.